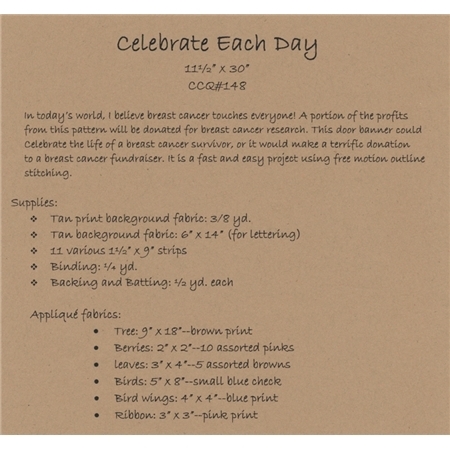 Create a beautiful and encouraging door banner to celebrate the life of a breast cancer survivor. 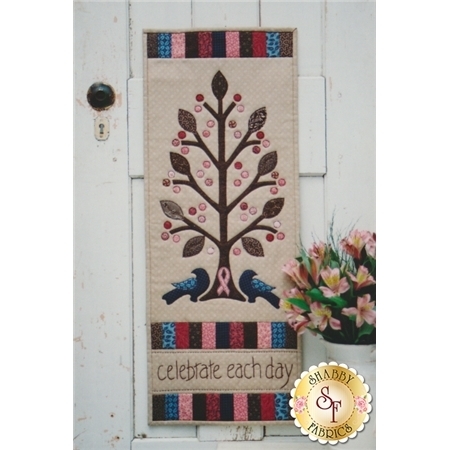 Designed by Pam Puyleart for Cottage Creek Quilts, this is a quick and easy project using free motion outline stitching! Finishes at 11 1/2” x 30”.